Each month, we post an update to notify our readers about the latest archival collections to be processed and some highlights of our print material acquisitions. These resources are primed for research and are just a sampling of the many resources to be found at The Texas Collection! Texas Railroad collection, 1903-1966, undated (#2692): Railroad timetables and manuals from railroads that operated in or around Texas. 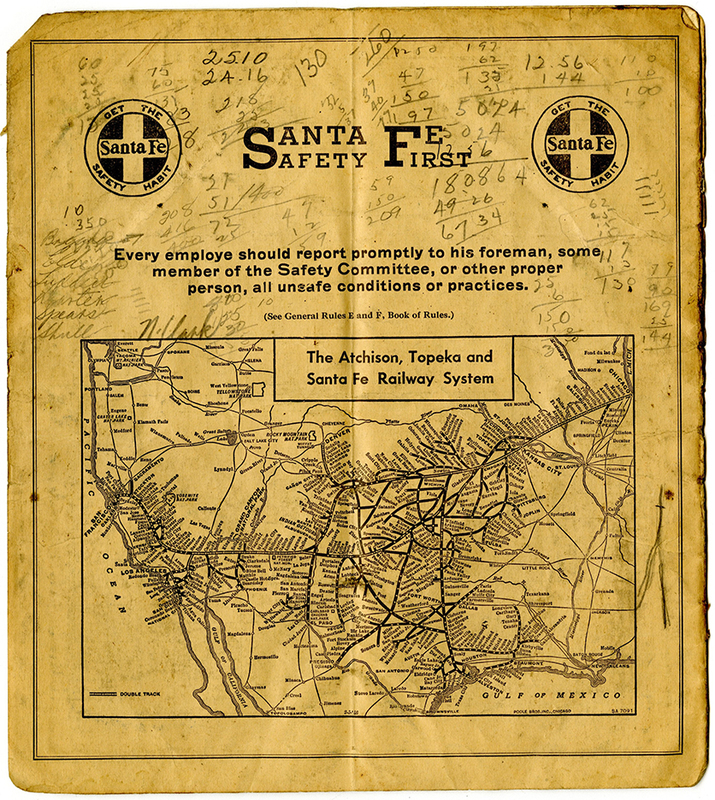 Covered with handwritten notes (and safety messages), this employee timetable represents the more practical side of railroad operations in Texas. You’ll find this item in the Texas Railroads collection, Accession #2692, box 1, folder 4, at The Texas Collection, Baylor University. Jay Presson Allen screenplay collection, 1968-1972 (#4002): Collection contains two screenplays written by Jay Allen Presson entitled The Prime of Miss Jean Brodie (1968) and Travels with My Aunt (1972). James Edward Grant Screenplay collection, 1961 (#3997): Includes the final screenplay James Edward Grant composed for the film The Comancheros. The screenplay, finalized in May 1961, was based on the novel by Paul I. Wellman. David Newman and Robert Benton Screenplay collection, 1967 (#3999): Contains a screenplay written by David Newman and Robert Benton in 1967. Titled Bonnie and Clyde, this story is centered around the infamous couple and their criminal careers. Fourteenth Annual Panhandle-Plains Dairy Show: Premium List. [Plainview, TX]: [publisher not identified], 1941. Print. 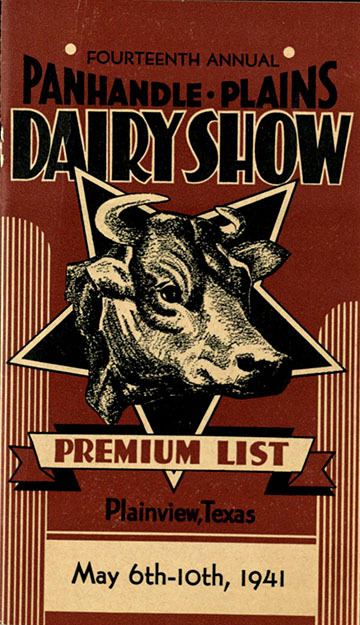 This program for the 1941 Panhandle-Plains Dairy Show contains all the information anyone showing cattle or attending the event might need, including exhibitor’s rules, judges’ rules, dairy products judging contest, officers and directors, etc. Click here to view in BearCat. 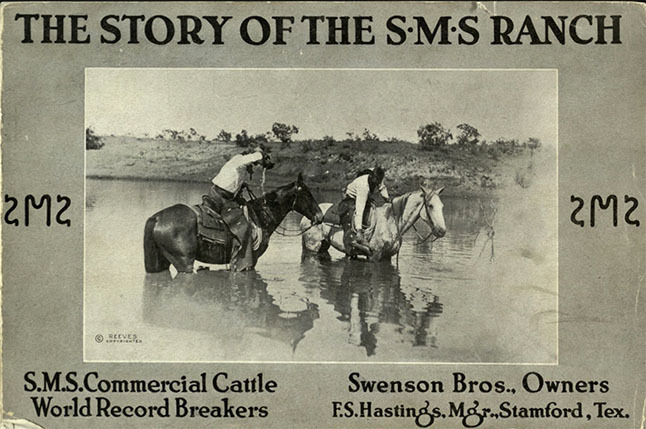 The Story of the S·M·S Ranch. [Stamford, TX? ]: [Swenson Bros.?], . Print. Filled with more than 120 photographs documenting cowboy life on the S. M. S. Ranches, this volume also provides info on breeding, show policy, cattle sales, etc. Click here to view in BearCat. San Antonio, Tex. New York: Rotograph Co., . Print. This accordion-style fold-out postcard, which was mailed in 1907, contains photographs of several prominent places in San Antonio including City Hall, Alamo Plaza, San Pedro Park, and several missions. Click here to view in BearCat. Estes family papers, 1853-1996, undated (#187): Includes Civil War correspondence from Aaron Estes, a soldier in the 10th Texas Infantry, plus legal and financial papers. During the Republic of Texas time period, inflation was rampant among the various kinds of official Republic of Texas bills. Because of this and other monetary problems in the new country, the Republic of Texas gave permission for the mercantile firm of McKinney, Williams, and Company to issue their own currency. This bill, issued in 1841, was a symbol of how wealthy and powerful the McKinney, Williams, and Company was in the Republic of Texas. When Texas joined the United States in 1845, this currency as legal tender became worthless. You’ll find these items in the Brinkman-Alston Texas currency, 1841-1843 (#3908), box 1, folder 1, at The Texas Collection, Baylor University. Gordon Zahorik papers, 1939-1980, undated (#284): Contains photographs of streetcars operated by the Texas Electric Railway Company during the 1930’s and 1940’s. Davis and Manon Yantis Stribling papers, 1898-1912, undated (#1595): Two albums of photographs from around the Baylor University campus, circa 1907-1910. Other materials include European postcards and books. Currency collection, 1837-1914, undated (#3866): Collection contains currency from Texas, Mexico, various states, and organizations throughout the 1800s and early 1900s. Gulf, Colorado, and Santa Fe Railway records, 1880 (#1902): Consists of a cancelled land deed from 1880 that was initially proposed to attract the Gulf, Colorado, and Santa Fe Railway Company to Belton, Texas. Missouri-Kansas-Texas Railroad records, 1948-1949 (#2192): Includes conductor’s orders and clearance cards used in directing a special presidential campaign train carrying President Harry Truman to Waco on September 27, 1948. Nora Elizabeth Potter Sims papers, 1943-1971, undated (#3925): Contains materials including diaries, notebooks, correspondence, newspaper clippings, photographs, and artifacts all pertaining to Nora’s life. Roy Beck served as a conductor on the Texas Electric Railway for 28 years. On May 26, 1928, Beck received this stock certificate for a single share in the company valued at $100. 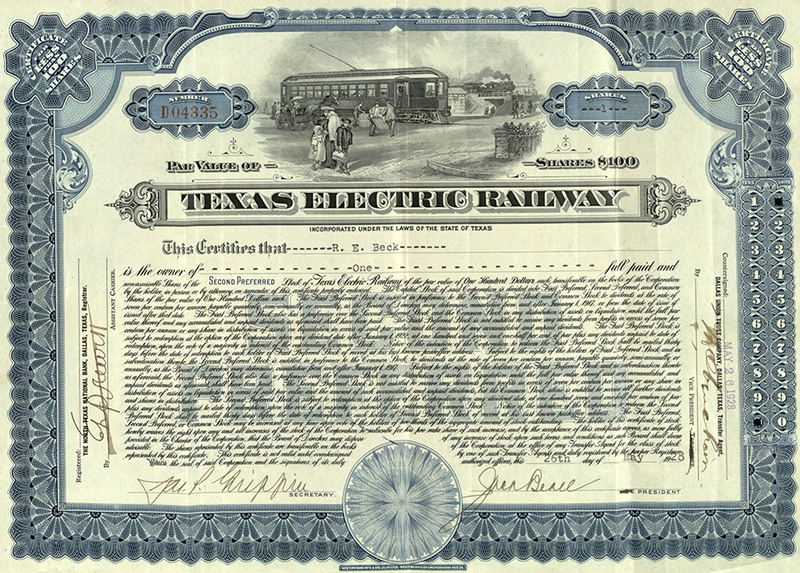 The certificate is signed by Jack Beall, president of both the Texas Electric Railway Company and the Dallas Union Trust Company. You’ll find these items in the Roy Elmer Beck collection, 1918-1946, undated (#3293), box , folder 18, at The Texas Collection, Baylor University. Roy Elmer Beck collection, 1918-1946, undated (#3293): Materials from Beck’s lengthy employment for the Texas Electric Railway Company in Waco. Texas and Pacific Railroad Company records, circa 1874 (#1542): Consists of a single, U.S. Congressional bill pertaining to the construction of a transcontinental railroad via the Texas and Pacific Railway Company. C.E. Casebier collection, undated (#2242): Collection contains an essay by C.E. Casebier concerning his trip to Washington, D.C. in 1923 to advocate for the Kansas City-Mexico-Orient railroad. This month, we are highlighting a selection of 16th century volumes recently discovered in our backlog and added to the collection. 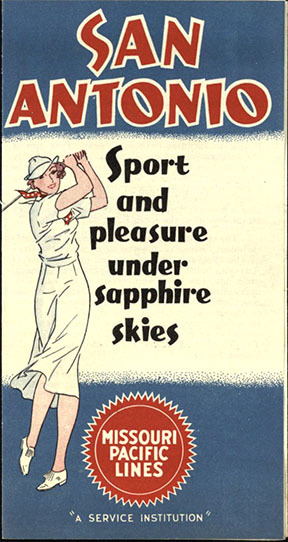 San Antonio: Sport and Pleasure under Sapphire Skies. [San Antonio, TX]: [publisher not identified], [1930-1939?]. Print. This small fold-out brochure provides enticing information on San Antonio as well as info on the Missouri Pacific Lines that service the city. Six photographs depict the cityscape, natural resources, and sporting. Click here to view in BearCat. 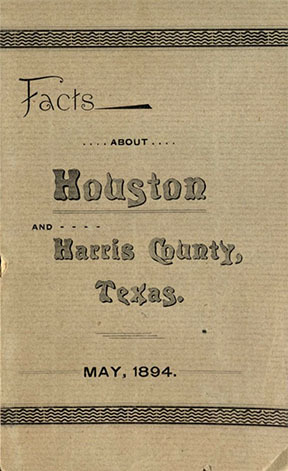 Porter, George L. Facts about Houston and Harris County, Texas. [Houston, TX]: [publisher not identified], . Print. Porter explains why Houston, which at the time was nine miles square, is and will continue to be the most important city in Texas. The pamphlet includes many facts to support this claim including the number of water mains, artesian wells, churches, railway tracks, hotels, cotton compresses, etc. Click here to view in BearCat. 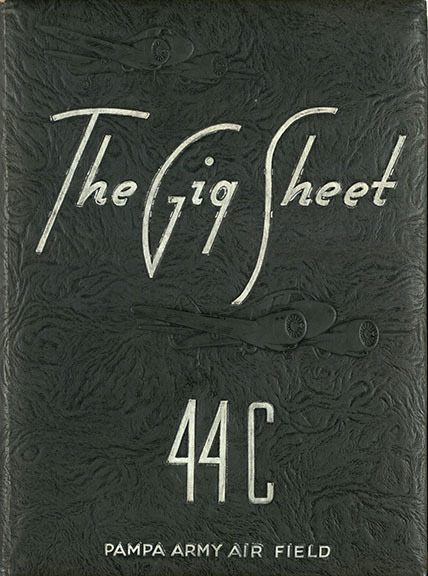 44-F Presents the Gig Sheet. Pampa, TX: United States. Army Air Forces, 1944. Print. This Pampa Army Air Field Class 44-A yearbook highlights the day-to-day lives of pilots-in-training at the air field from April 22, 1943 to January 7, 1944. Click here to view in BearCat. 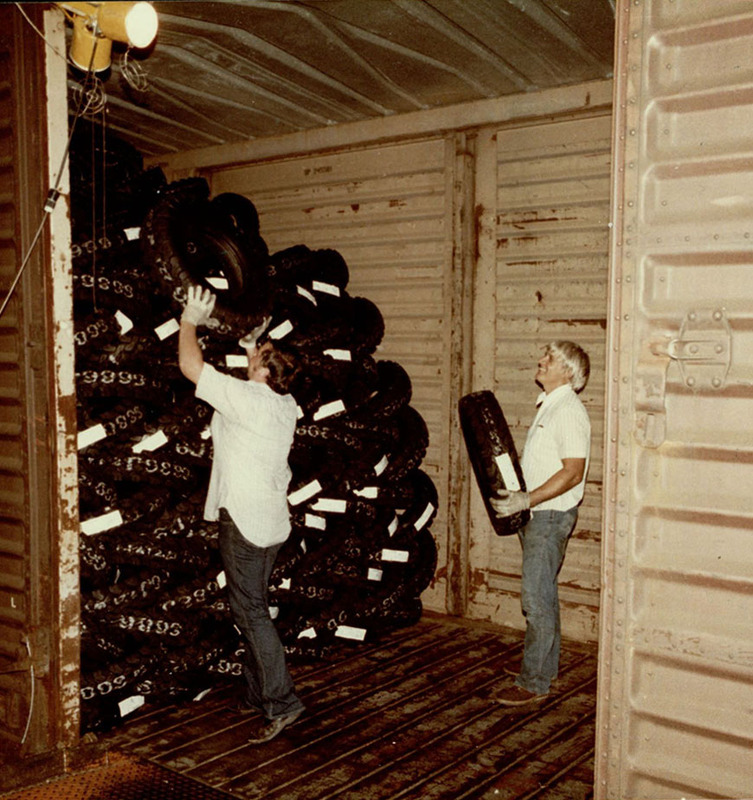 For over forty years, General Tire and Rubber Company ran a plant in Waco, Texas, that produced tires and other rubber products for the U.S. Army and domestic consumers. The old tire plant building was renovated in 2010 for use as a research facility. Currently, the building hosts scientists from Baylor University, Texas State Technical College, and various businesses. Rosemyrtle McLaughlin General Tire and Rubber Company photographic collection, 1957-1986, undated, Accession #3968, box 1, folder 5, at The Texas Collection, Baylor University. Rosemyrtle McLaughlin General Tire and Rubber Company photographic collection, 1957-1986, undated (#3968): Administrative files and photographs of the General Tire plant. Victor Marion Rose papers, 1805-1972, undated (#2885): Includes correspondence and records on Rose and Williamson family history. McGregor Plan records, 1936-1942 (#171): Consists of materials documenting the Baylor University Texas Collection’s participation in the McGregor Plan. The McGregor Plan assisted smaller libraries who lacked resources and access to book dealers in purchasing rare Americana to add to their holdings. BU records: Donald I. Moore, 1939-2003 (#BU/383): Correspondence from World War II, letters relating to Moore’s compositions and work as director of the Golden Wave Band at Baylor University, marching band diagrams, photographic materials, programs, and film of the band’s performances. Lily McIlroy Russell papers, 1897-1968 (#717): Contains collected materials, literary productions, photographs, and personal correspondence. 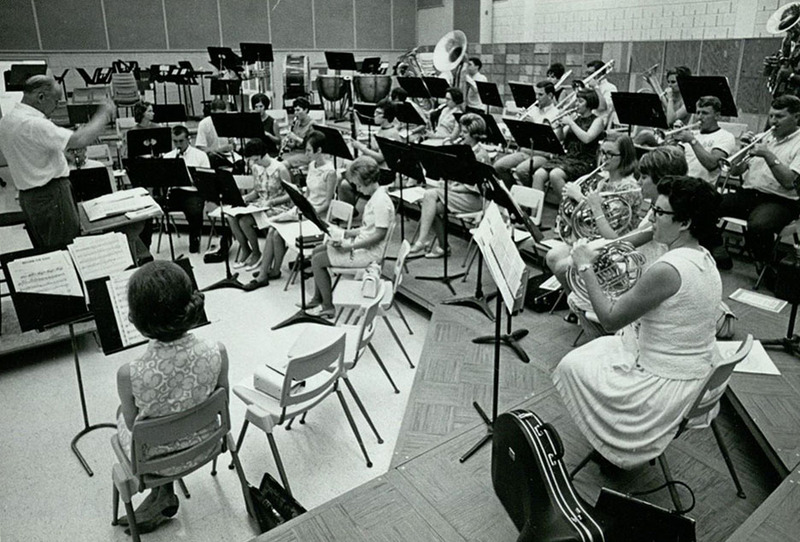 This undated photograph features Donald I. Moore, longtime director of Baylor University’s Golden Wave Band, directing band practice. BU records: Donald I. Moore, 1939-2003, Accession #BU/383, box 18, folder 12, at The Texas Collection, Baylor University. Neal, Dorothy Jensen. 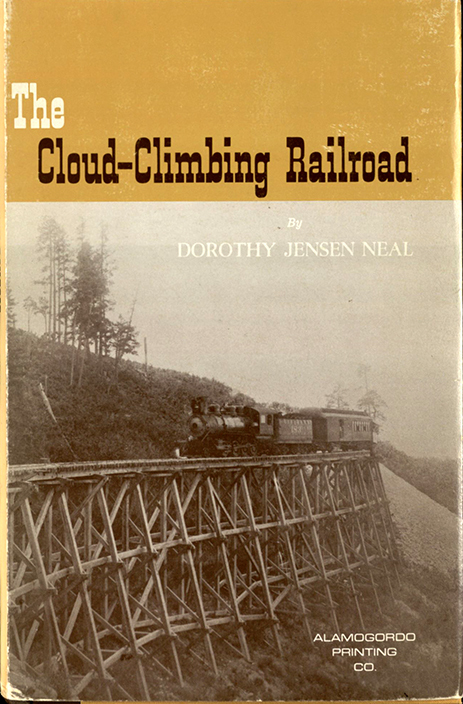 The Cloud-Climbing Railroad: A Story of Timber, Trestles, and Trains. Alamogordo, NM: Alamogordo Print. Co., 1966. Print. Dorothy Jensen Neal provides a close look at the construction history of the Alamogordo and Sacramento Mountain Railway, which connects Alamogordo and Russia, New Mexico. Filled with photographs and maps, The Cloud-Climbing Railroad explores the challenges of building a railway that climbs nearly 5,000 feet in 32 miles. Click here to view in BearCat. Lomax, John A. Cowboy Songs and other Frontier Ballads. New York: The Macmillan Company . Print. 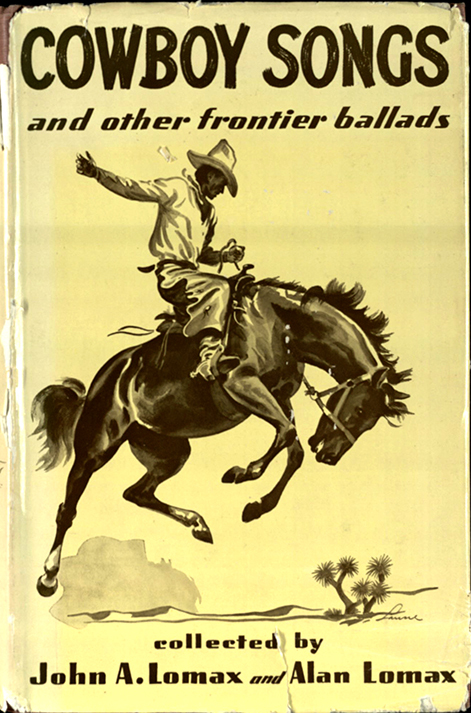 Noted folklorists and musicologists John A. Lomax and his son Alan compiled this expansive volume containing sheet music, lyrics, and annotations of cowboy and frontier songs. This volume is revised from the original 1910 edition, which can also be found in The Texas Collection. Click here to view in BearCat. Corpus Christi: The Ideal Summer and Winter Resort of Texas. Corpus Christi, TX: Noakes Brothers, . Print. 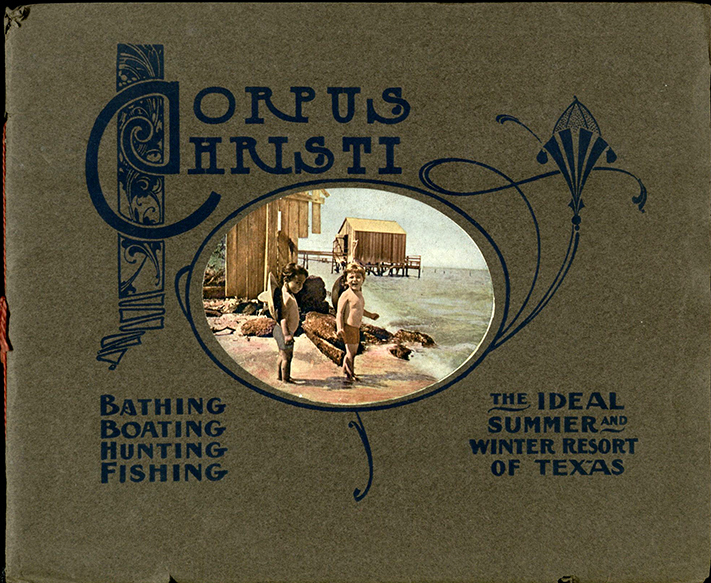 Like similar promotional books printed in the early 20th century, this volume is filled with beautiful full-color images that highlight the many resources found in Corpus Christi, including the abundance of game, fish, and fruit. Click here to view in BearCat. On June 18, 1918, a troop train carrying soldiers from Camp MacArthur’s 80th Field Artillery left East Waco traveling eastward on the Cotton Belt line on a trip to a southern training camp. After traveling for 15 minutes (about 7 miles), the train derailed just north of Selby (no longer on the map). Two troops, Corporals Laurn Harrell and August Handschumacher, Jr., were killed, and about 30 military personnel and four employees of the railroad were injured. In these photos taken by Edward Charles (E.C.) Blomeyer, of Waco, Texas, we can see the aftermath of the crash. Blomeyer was not involved with the railroad but rather was president of The Texas Telephone Company—while also pursuing amateur interest in photography. Blomeyer (1883-1964) lived in Waco from about 1912 to 1920. His collection of nearly 1,500 negatives and prints allow us to be an eyewitness to historical events that otherwise might be lost to time. According to the Interstate Commerce Commission’s report on the incident, the train consisted of 14 passenger coaches, 6 freight cars, and a caboose. Troop train no. 264 left East Waco at 3:25 p.m. and after traveling eastward about 7 miles and approximately 1.1 miles north of the town of Selby (no longer on the map), the train derailed at approximately 3:40 p.m. The locomotive was a Baldwin Consolidation-type, 2-8-0, #510, of the St. Louis Southwestern Railway of Texas, also known as the Cotton Belt line. The derailment occurred as the train approached a trestle crossing the Tehuacana Creek. After an investigation by the Interstate Commerce Commission (ICC), and upon hearing statements from the train’s engineer, Statham, the agency came to the conclusion that a sun kink was the main factor of the accident. Sun kinks can occur during extreme heat causing rails to bulge or spread. At the time of the accident on this June day, it was reported to be 103 degrees. After the incident there was much speculation as to the cause of the mishap. The June 19, 1918, Waco News-Tribune reported that: “The favorite opinion of the hundreds of officers, camp and railroad officials, and citizen spectators, was that the bridge or the rails had been tampered with, by persons knowing of the troop movement.” With the U.S. into its second year of involvement in World War I, it is not surprising that such theories of sabotage were being put forth. Just a few days after the derailment, these theories were debunked by the investigation reports.